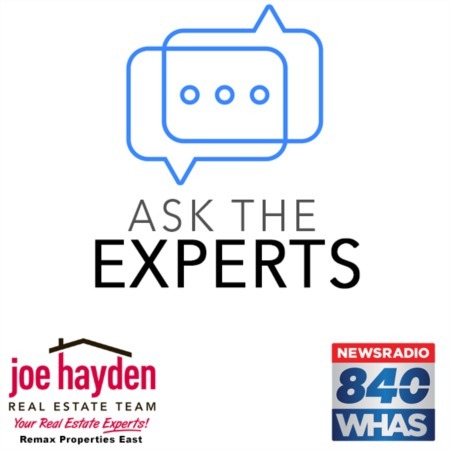 8708 Loch Lea Lane Louisville, KY 40299 | Home for Sale | MLS #1346324 | Joe Hayden Real Estate Team - Your Real Estate Experts! 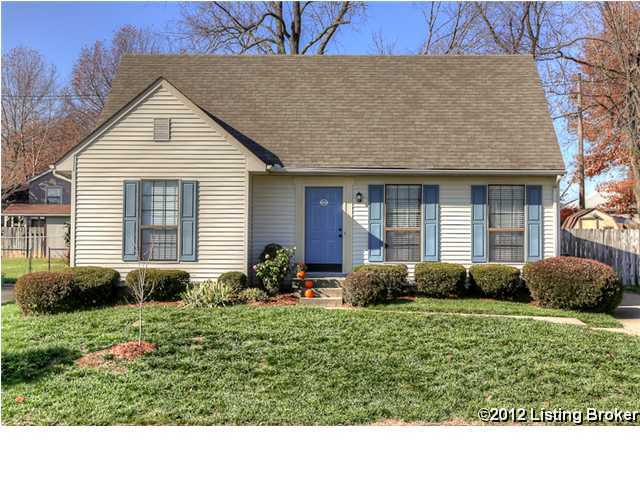 Welcome Home to 8708 Loch Lea Lane in Louisville! This charming Cape Cod style home is conveniently located on a dead-end street in the Watterson Woods Subdivision, where streetlights and sidewalks give you and your family a safe, well-lit place to walk and play. 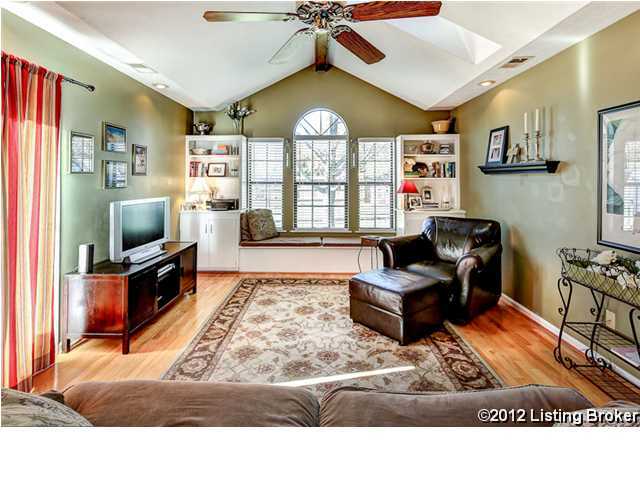 As you enter the home through the front door, you are greeted by a large living room with new carpet (Oct. 2012) and a neutral decor. This home offers plenty of living space as well as bedrooms, with 4 spacious bedrooms - 2 on the main level and 2 upstairs - so your family will have room to grow and relax. The heart of this home is the large eat-in kitchen with hardwood floors, ample cabinet and counter space, a pantry and a breakfast bar that opens to the bright and airy great room (20X14). With a vaulted ceiling, 2 skylights and a ceiling fan, as well as a reading bench flanked by built-in bookcases, the great room invites you to relax and enjoy your home. You exit the great room through the glass doors to the attached deck, perfect for entertaining, and your family will appreciate the added safety offered by the fully fenced backyard with the recently painted storage shed. 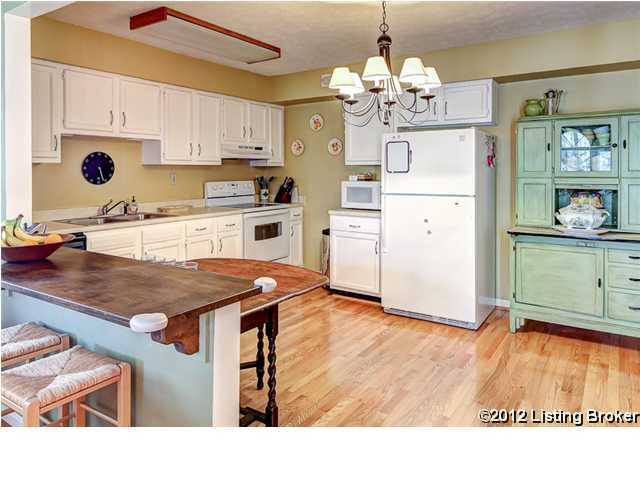 A separate laundry room is conveniently located off the eat-in kitchen. 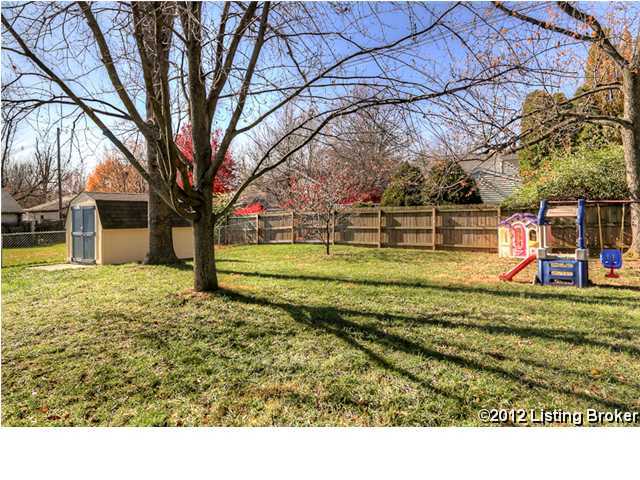 This home has many updates including a 2-year old furnace and central air system. Call today for a private showing of 8708 Loch Lea Lane in Louisville. You will not be disappointed with a decision to make this great house your home! To search for other great homes in the area, please visit our Joe Hayden Real Estate Team website.